We live in a great country (in spite of what you may have heard). So many cultures have left their imprint on the United States in its relatively short history. 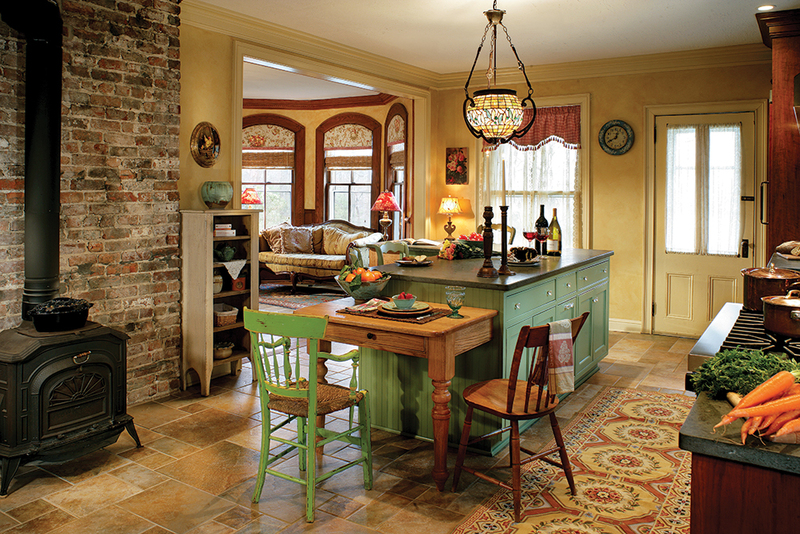 That much is apparent in the foods we eat, the styles we wear, and—yes—in the way we furnish our homes. At Design NJ, we see firsthand that New Jersey represents a microcosm of the whole country. Varying styles that reflect our collective national story can all be found right here in the Garden State. 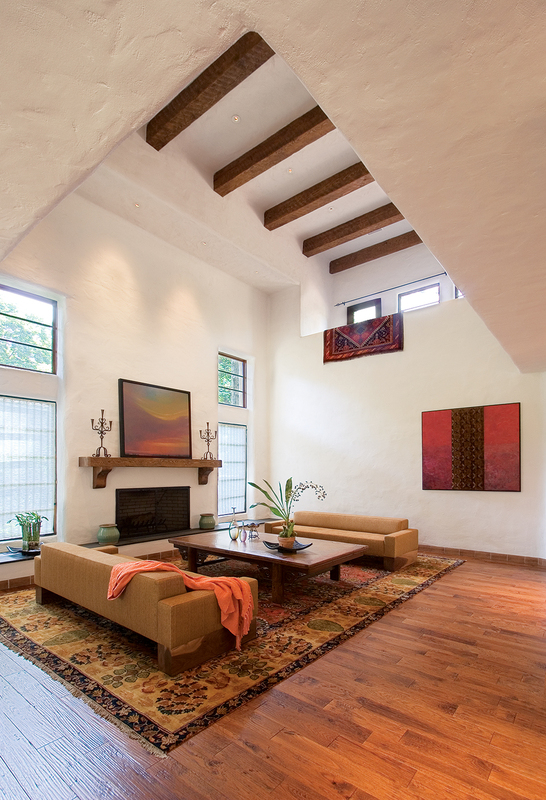 The Mission style so prevalent in the American Southwest (though this home is in Teaneck, NJ), borrows heavily from Spanish influences. 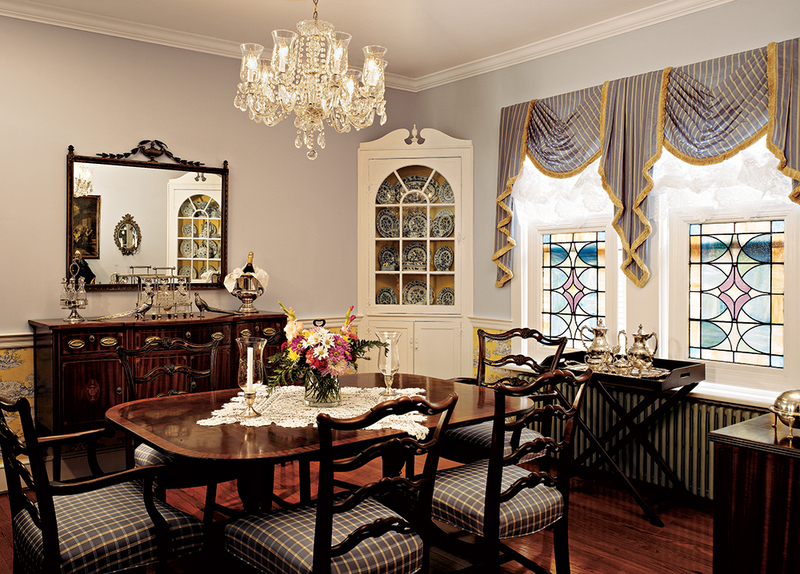 Elements of Federal style (including Chippendale chairs) give this dining room a Colonial-era feel. This Haddonfield home takes its cues—and cedar shingles—from Nantucket style. Design elements in this late 19th-century home in Mendham—gingham curtains, wood burning stove, distressed furniture—hint at a Midwest farmhouse style. 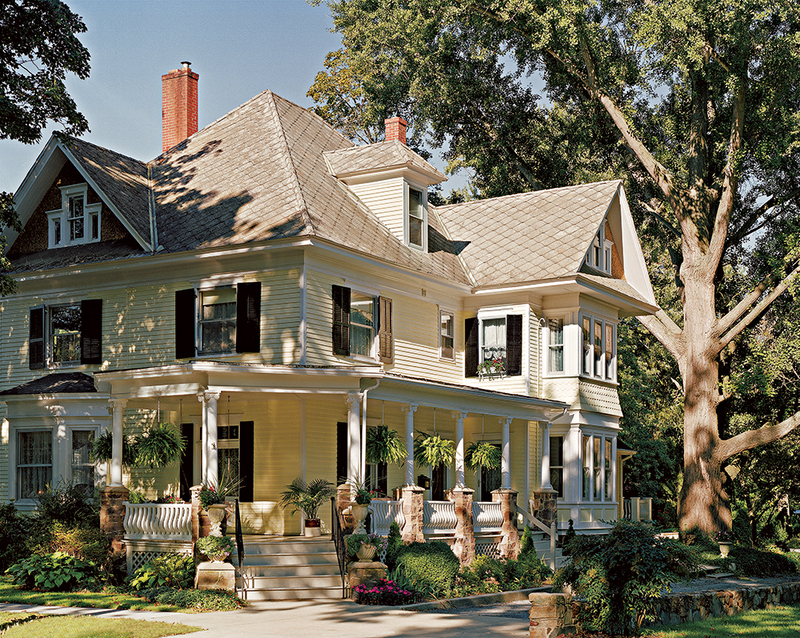 This century-old Woodstown residence exudes Southern charm with its genteel veranda and lush hanging plants. 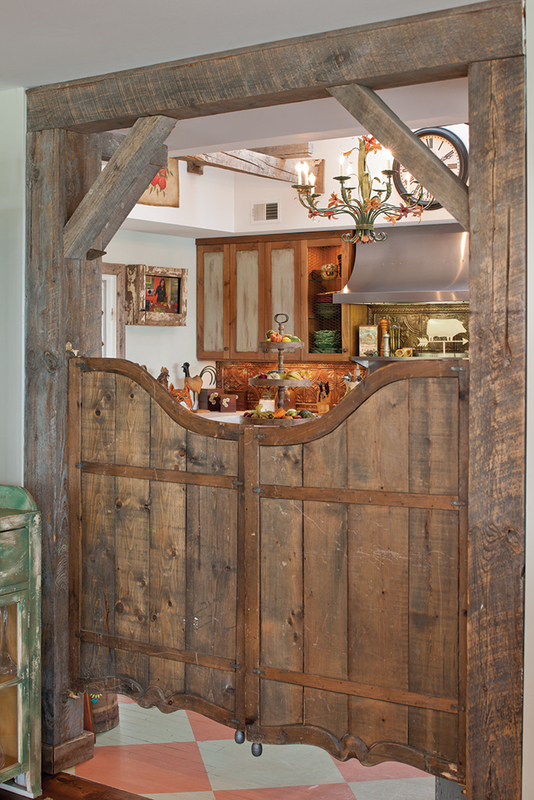 Saloon doors hark back to the Old West in this Monmouth County home. 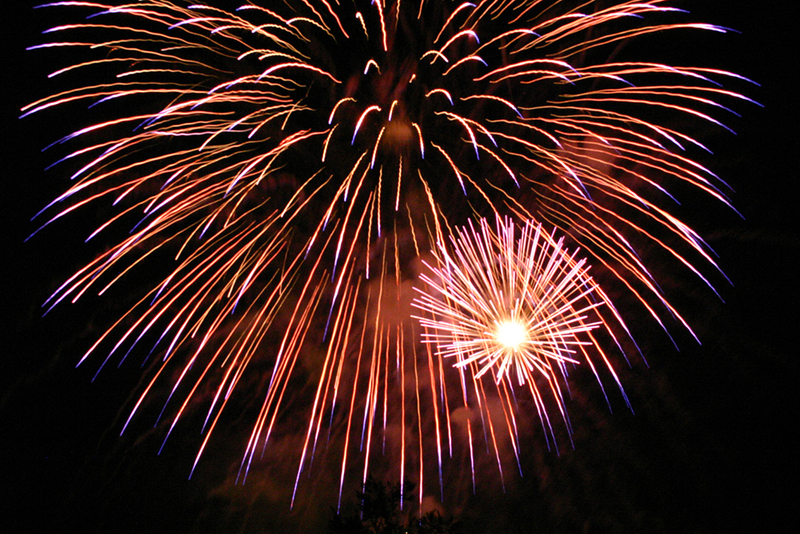 Celebrate the 4th in style—whatever that style that may be!